Thank you! 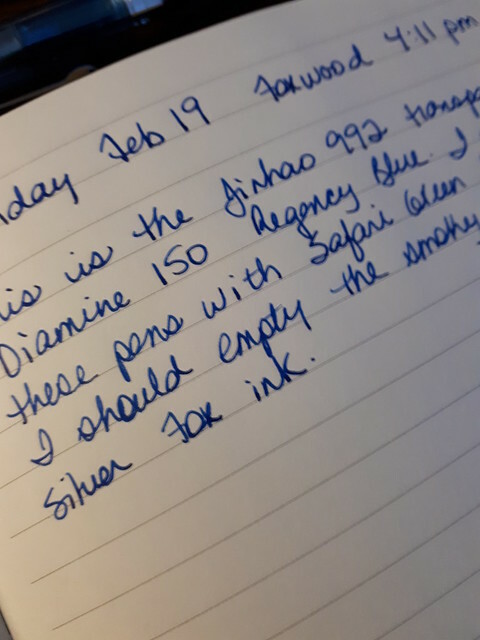 I am going to have to investigate Jinhao more closely than I have thus far. So many people have praised their build quality and solid performance… I’m beginning to think that I’m missing out on something 🙂 .
. 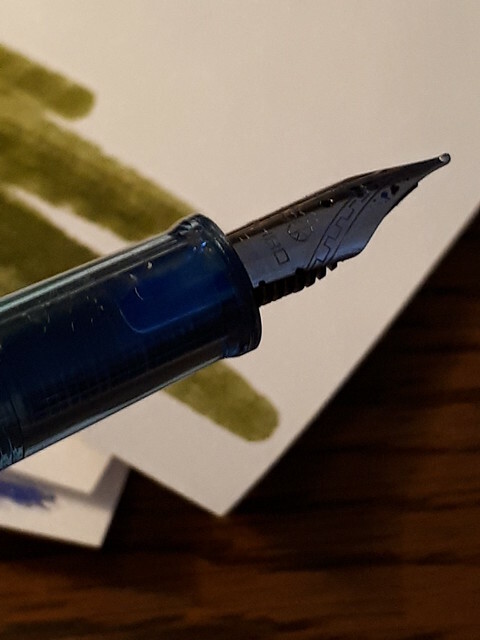 So far my only experience of Jinhao pens has been to buy an X450 (I see you have one of those) and the size 6 nib was very pleasant. 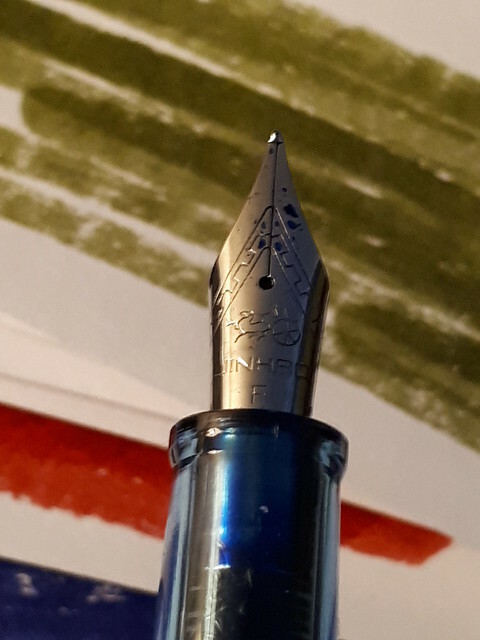 In fact I ended up putting the nib in a Conklin Mark Twain Crescent Filler, as the Conklin’s nib had uneven tines. Yep, colourful, great value and super reliable. 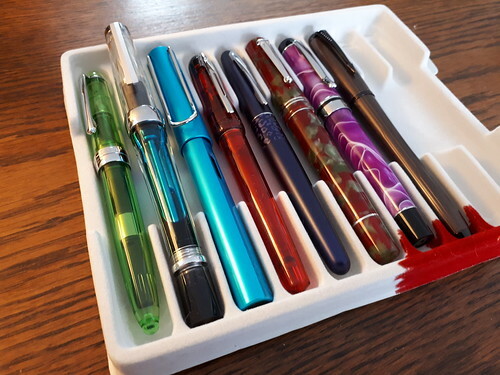 Exactly what we pay 10 times more for in other pens! I’m going to have to look at the Jinhaos again, too. I’ve tried one, but it wasn’t to my liking — it was one of the metal ones, and it was too heavy. I’ll have to try another model of theirs, though, since they get such high praise (at such a low cost). 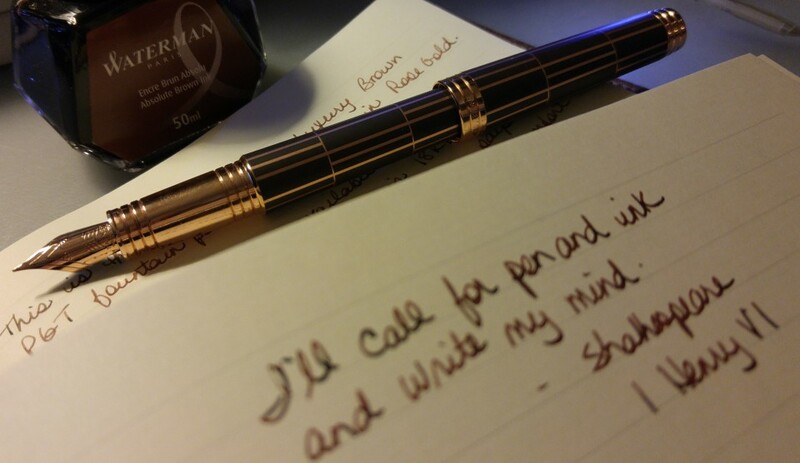 Nicole I’m glad you are considering Jinhao again too. 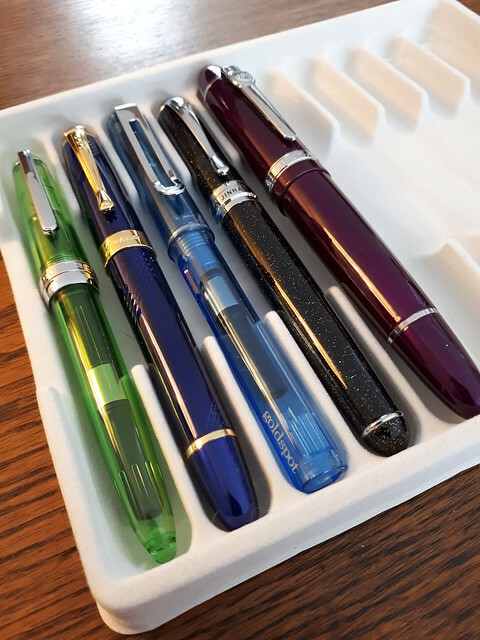 They do have lighter pens, the 992s are super light but just as reliable as their heavier metal cousins. I hope you find one you like! I read this, went to eBay, paid £6 for four. They came today, ten days, free post from China, and I’m very impressed. 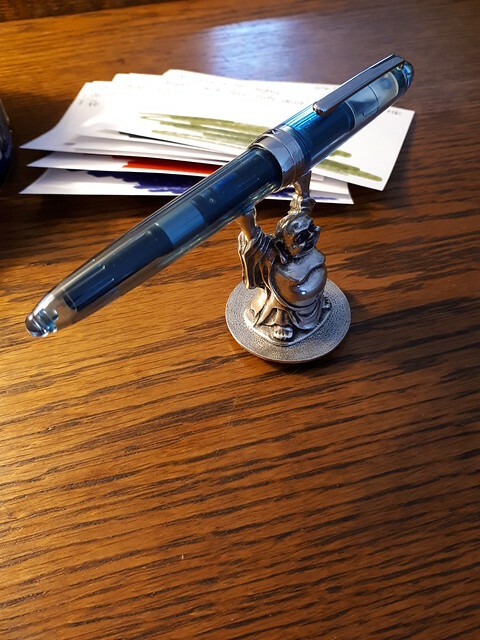 Only inked one so far and it’s very smooth, my wife took one and thinks she has something expensive, I won’t tell her otherwise. 🙂 You are very welcome ronwild! I read this, went to eBay, bought four for £6. They came yesterday, and I am very impressed, ten days for free postage from China! 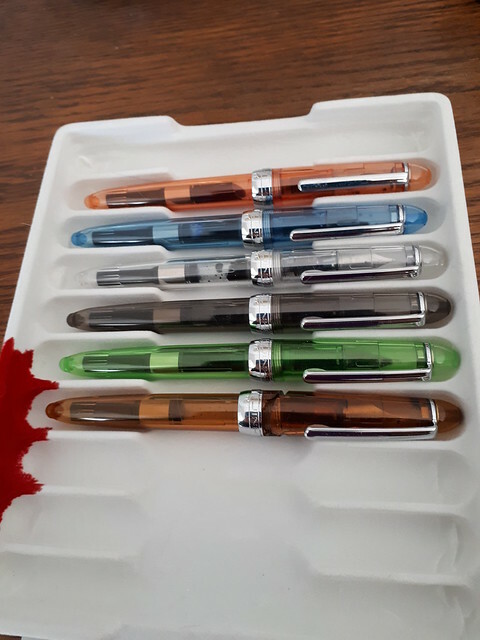 I’ve only inked one, and my wife took one, she thinks it’s an expensive gift and I won’t tell her otherwise.